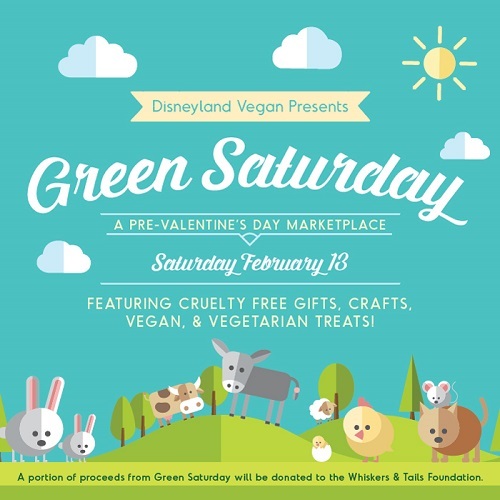 Green Saturday is an all-vegan shopping event that was a great success back in December (I previously wrote about it HERE)! I wasn't able to attend, but I heard that it was an awesome event filled with eco-friendly, vegan vendors selling all kinds of items from clothes to jewelry to housewares to makeup and so on! Most items are locally-made from small, independent companies and all are cruelty-free. In fact, Green Saturday was such a success that it is returning this February, 13th, 2016 for a second pop-up at the Alpine Village! Again, it will host a wide array of vendors, and will also host vegan beer and food options! Like the last time, a portion of the proceeds will be donated to the Whiskers and Tails Foundation, a local organization that rescues and adopts various animals, from cats and dogs, to ducks, pigs and goats. Admission: Children are free, $5 (per adult), or FREE with a donation of cat or dog food, new cat or dog toy, or a clean blanket for The Whiskers and Tails Foundation. For more info, please visit Green Saturday's website!